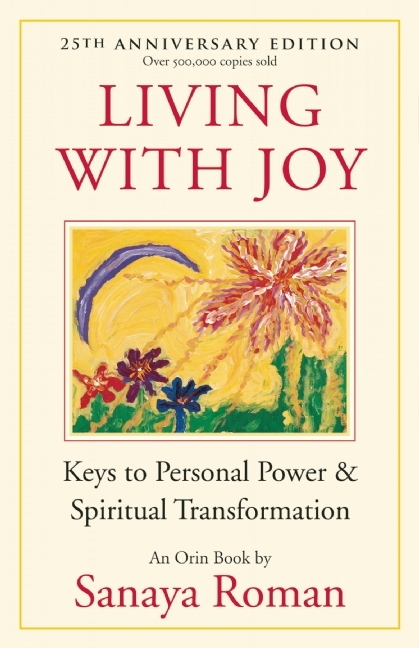 This revised and updated 25th Anniversary Edition of Living with Joy includes new channeled information, over 300 new Joy Affirmations, new Daily Joy Practices, and stories from readers. In the tradition of Jane Roberts, Esther Hicks, and Edgar Cayce, Sanaya Roman joined the ranks of gifted channels with Living with Joy, given to her by Orin, a timeless being of love and light. The spiritual truths and transformative meditations and exercises here comprise a systematic course in spiritual growth that has opened millions to their fullest potential. As Sanaya writes, “Many great artists, writers, businessmen, athletes, and musicians have reported that their greatest works, inventions, and inspiration seemed to be ‘given’ to them from a source beyond their ordinary reality.” In a similar way, this book was given to Sanaya and serves as an invitation to readers to choose joy, release struggle, and open to their powers for transformation. Imagine for today that every situation that comes your way, every thought that comes into your mind, every person you meet is providing you an opportunity to experience and express more of the love within you. Living in Joy is Book 1 of the Earth Life Series. Books 2 and 3 are Personal Power through Awareness and Spiritual Growth. As Sanaya writes, "Many great artists, writers, businessmen, athletes, and musicians have reported that their greatest works, inventions, and inspiration seemed to be 'given' to them from a source beyond their ordinary reality." In a similar way, this book was given to Sanaya and serves as an invitation to readers to choose joy, release struggle, and open to their powers for transformation. increase your sense of aliveness and well-being.